British automotive brand MG Motor has reported a milestone year of sales success in the Middle East, with an overall increase of 453 per cent across the entire region. Having launched three new models in the Middle East in 2018 – the MG RX5, face-lifted MG GS, and the new MG6 – the British-born brand is celebrating a major renaissance in the region, said a statement from the company. Saudi Arabia, one of MG’s best performing markets, has seen a momentous growth of 764 per cent in sales compared to 2017, it said. Thanks in part to last year’s Royal Decree announcing the introduction of female driving licenses in the country, which has opened the brand to an untapped audience, it added. The UAE which became home to a brand-new flagship showroom on Sheikh Zayed Road last year - was also one of the brand’s best performing markets in 2018 with a robust 122 per cent growth in sales. 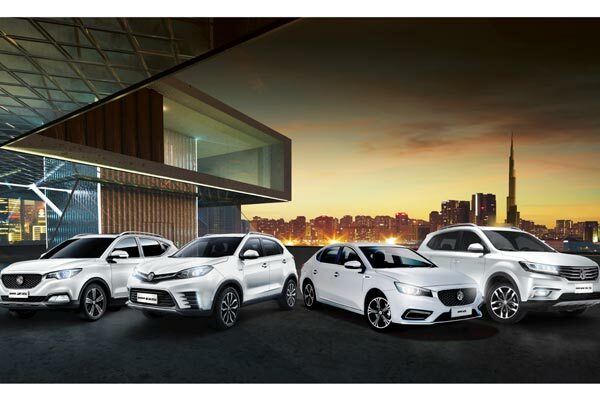 With a network of dedicated retail partners across the Middle East boasting 20 modern showrooms and 21 service centres, MG Motor’s presence is growing apace, with the MG 360 and RX-5 proving its most popular models. And, with a further three new models joining the region’s model line-up in 2019, the brand is primed to continue its expansion. Arriving in the third quarter of 2019 will be another strong compact sedan to bolster the brand’s C-segment offering, followed later in the summer with an innovative new SUV packed with the latest cutting-edge technology. And finally, MG will enter a brand-new segment in 2019 as it launches its first ever seven-seat SUV. “As a relatively young brand in the Middle East, and with the current challenging market conditions, we are very encouraged by the acceptance of the brand – especially in our biggest market, Saudi Arabia, where in particular, the MG ZS has performed very well and is the second biggest selling model in its segment,” he said. “We have also noticed a very strong brand appeal amongst female motorists; 21 per cent of all MG owners in the Middle East are female, and around half of our all-new MG6 owners are women. We can almost certainly attribute these statistics to our fresh, contemporary approach to car design which has a clear appeal to our female customers,” he added. “In terms of quality, we are very confident that our cars are ready for the region. We put our products through rigorous challenges including extreme weather testing, which takes place right here in the Middle East,” Lee concluded. As well as three new models, the brand also launched an innovative new app called ‘MG iLink’ in 2018 which is the first smart phone app in the Middle East to combine both dynamic and service features in one easy-to-use interface, it is also the only application in the market to offer ‘punch sensor’ technology, said a statement. On a global level, MG Motor’s parent company, SAIC Motor, is performing well in its home market of China; where the industry is in decline, the company is amongst the strongest performing businesses; selling a record 7.0517 million vehicles last year (+1.75 per cent compared to 2017) and is expected to secure a +24 per cent market share.